Jak and her robotic servant, Cow, are in a pickle; Mom wants Jak to sell Cow for scrap, but Cow and Jak have become best friends. 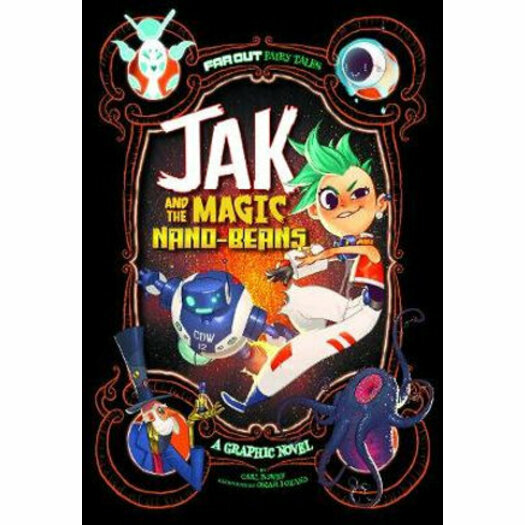 So instead of selling the rusty old robot for spare change, Jak strikes a bargain with the scrap collector: if Jak and Cow can visit the Cloud Kingdom via the Space Elevator and get hold of some magic nano-beans, Jak can keep Cow safe and sound. But what they find in space is anything but safe--and its sounds are far from soothing . . .